Happy October my film loving friends! We're in the a great time of year where the candy corn and pumpkin-flavored everything is flowing. For my picks this week, the films all have horror aspects to them. One is a documentary about a classic horror film, one is a retelling of a series of murders, and the final is a small, tense indie thriller. THE SHINING is a staple horror film for any filmbuff. 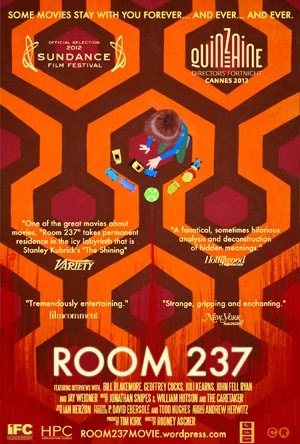 Kubrick is known for his obsessive nature as a filmmaker, and there have been many different types of theories and stories surrounding the production of THE SHINING. 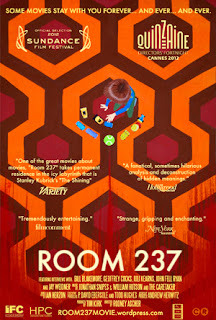 ROOM 237 is a documentary that focuses on some of the more "out there" theories floating around including Kubrick helping with faking the moon landing or Minotaur symbolism sprinkled within the film. It's a well made film and worth a watch, even if the points are a little outlandish. 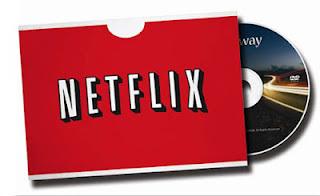 You can check out our review of it here! I've heard about this film when it was released that it was making waves in the festival circuit. 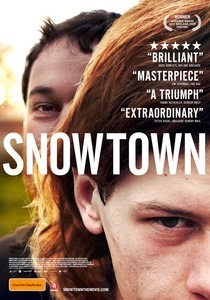 It's about the Snowtown murders that happened in South Australia. They're also know as the "body-in-barrels" murders, which makes the film even more intriguing. MARTHA MARCY MAY MARLENE was one of my favorite films a couple years ago. 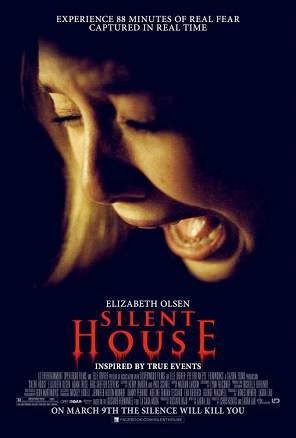 It made waves at Sundance, and the star, Elizabeth Olsen, had another film premiere that pretty much made her the festival darling, SILENT HOUSE. Though it's a simple story of a young woman being terrorized in her family's vacation home, what makes this film remarkable is the appearance of the film being done in a single, long take. It's quite a technological spectacle, and though the film itself isn't as solid as it should be, Olsen, as always, is fantastic.